“This is one of the great, earliest-known civilizations in the world,” says Neal Spencer, an archaeologist with the British Museum. For the past 10 years, Spencer has traveled to a site his academic predecessors photographed a century ago, called Amara West, around 100 miles south of the Egyptian border in Sudan. Armed with a device called a magnetometer, which measures the patterns of magnetism in the features hidden underground, Spencer plots thousands of readings to reveal entire neighborhoods beneath the sand, the bases of pyramids, and round burial mounds, called tumuli, over tombs where skeletons rest on funerary beds—unique to Nubia—dating from 1,300 to 800 b.c. “Only now do we realize how much pristine archaeology is just waiting to be found,” says David Edwards, an archaeologist at the University of Leicester in the United Kingdom. For the next century, the region known as Nubia—home to civilizations older than the dynastic Egyptians, skirting the Nile River in what is today northern Sudan and southern Egypt—was paid relatively little attention. The land was inhospitable, and some archaeologists of the era subtly or explicitly dismissed the notion that black Africans were capable of creating art, technology, and metropolises like those from Egypt or Rome. Modern textbooks still treat ancient Nubia like a mere annex to Egypt: a few paragraphs on black pharaohs, at most. Today, archaeologists are realizing how wrong their predecessors were—and how little time they have left to uncover and fully understand Nubia’s historical significance. Sites like this can be found up and down the Nile River in northern Sudan, and at each one, archaeologists are uncovering hundreds of artifacts, decorated tombs, temples, and towns. Each finding is precious, the scientists say, because they provide clues about who the ancient Nubians were, what art they made, what language they spoke, how they worshipped, and how they died—valuable puzzle pieces in the quest to understand the mosaic of human civilization writ large. 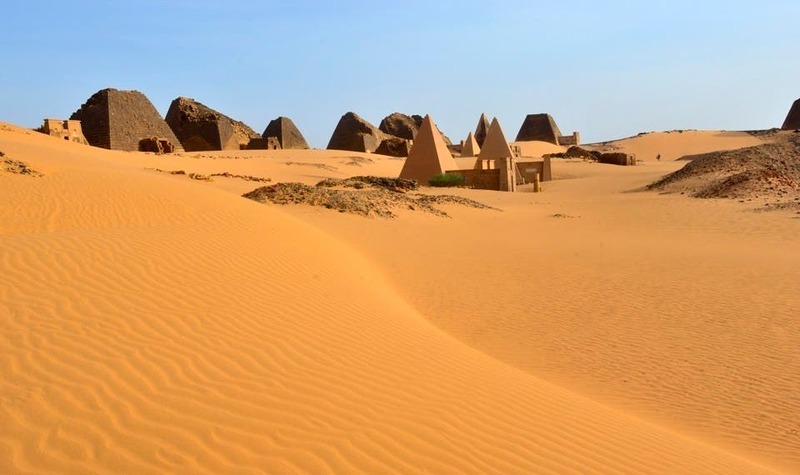 And yet, everything from hydroelectric dams to desertification in northern Sudan threaten to overtake, and in some cases, erase these hallowed archaeological grounds. Now, scientists armed with an array of technologies—and a quickened sense of purpose—are scrambling to uncover and document what they can before the window of discovery closes on what remains of ancient Nubia.